The Colorado-based company Elixinol is committed to offering happy lives to everyone across the globe that uses their products. They do this by providing the highest quality and pure natural products to their clients using fluid supercritical CO2 extraction method to take CBD Oil and hemp extract from the industrial hemp plant. In the manufacturing of their products, they use natural ingredients and various cannabinoids. • It is naturally made. • Infused with CBD oil. • It is available in Natural and Cinnamint flavors. • Contains other natural compounds. Having been extracted from an organically grown industrial hemp plant which is high in CBD and other cannabinoids, Hemp Oil Natural Drops 300 mg CBD are packaged in a very easy-to-use fitted with a dropper bottle which contains 300 mg of CBD. The product is non-synthetic and non-isolate. It contains the synergistic cannabinoids, terpenoids, essential oils and other compounds from the original plant. • Fatigue: Sometimes your body may just feel like doing nothing and tired all through the muscles and the joints. You don’t have to remain in the condition, just take Hemp Oil Natural Drops 300 mg CBD and get the relaxation you have been looking for. • Joint pains: This could be as a result inflammation, old age, or arthritis. That doesn’t mean that you should struggle with your pains to an extent that you can’t walk. Just grab your solution today by buying this Elixinol product. • Headaches: You can now get some relief from both mild and acute headaches by taking Hemp Oil Natural Drops 300 mg CBD. Say goodbye to headaches. • Stress: Sometimes stress is inevitable, especially with the troubles of living in our millennial age. Nevertheless, you can always reduce stress levels by taking this Elixinol product. • Depression: When stress hits high levels, it develops into depression, which can make you sick and even have physical symptoms. You can keep yourself healthy by countering the problem before it develops: Just grab this product. • Anxiety: You can now get relaxed by taking Hemp Oil Natural Drops 300 mg CBD in either Natural and Cinnamint flavor. No more worries with this product. Quality: It is usually extracted using supercritical CO2 extraction method which ensures that it is pure and of good quality. It is usually made naturally, hence no artificial ingredients are used. Effect: The 30 ml/1oz glass bottle containing 300 mg of CBD and other natural molecules is very effective in addressing some medical conditions like depression, pains, stress, pains, and general fatigue. You just need to take as required to get the results. 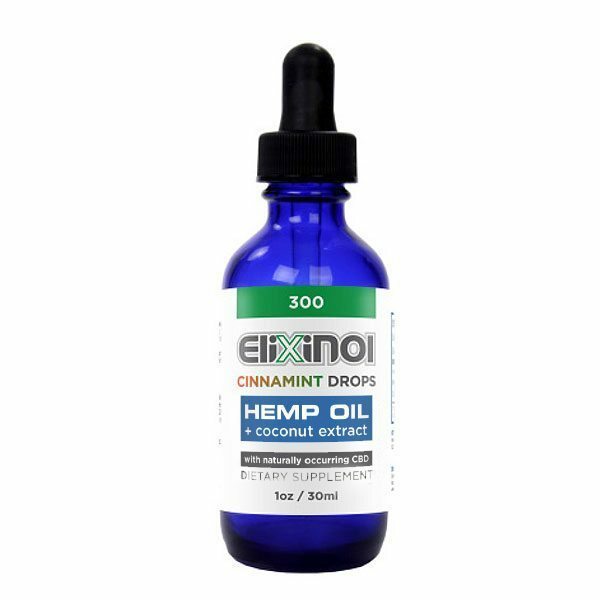 Price: You can visit the official website of Elixinol to buy Hemp Oil Natural Drops 300 mg Natural Flavor online and buy Hemp Oil Cinnamint flavor as well, both for only $29.99 each. Final Thoughts: Hemp Oil Natural Drops 300 mg CBD – CBD Tincture Natural Flavor and Hemp Oil Cinnamint Drops are the only product that guarantees your relief. It has no added artificial ingredients. Non-psychoactive because it doesn’t contain THC. It is effective at dealing with various medical conditions. It comes in Natural and Cinnamint flavors. Should not be taken by children below the age of 18 years. Not appropriate for nursing mothers. It is not appropriate for pregnant women.